Fishing is an advanced hobby of millions and it has been increasing in popularity in the last century. It is a perfect symbiosis between the man and equipment. Both of them must be at the high level in order to catch plenty of fish. We obviously can’t help you with your skills, but we can assist you in choosing the best equipment. Here we will be focused on reels made by one of the best-known brands in the business. 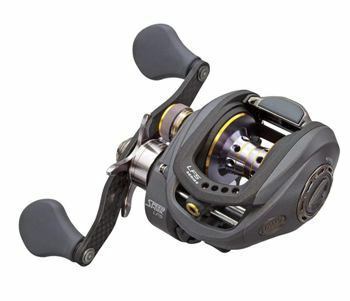 Now you will be able to read the Lews reels reviews of the most popular models. Not only this is the best fishing reel on the market at the moment, but it is one of the best-looking as well. We liked the overall look and we were very impressed. The magnesium casing comes in black color and the golden details add the overall appeal. In general, the tested model looks perfect. But, fishing reels are not only about aesthetics. They must stay strong and reliable at all conditions and offer the highest results possible. Let’s see why this reel is so special. You must know that all reels have tiny bearings inside. They are responsible for the rotation and the smoothness you will get when using a reel. In this case, we can see 11 bearing system. It is a double shielded model with elements made of stainless steel. All of this suggests that the model we tested is accurate, smooth when used and will last for a long period of time. 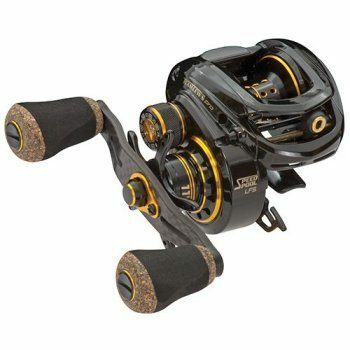 Almost all Lew's spinning reels reviews of the particular model, obtained by the owners suggest the same thing. The system is adjusted externally and it offers 6 pins and 27 different positions. It is one of the best in the class and it is the second main reason why we liked the reel so much. This tiny system proves that the reel we have here is designed by professionals, for professionals. So yes, if you are looking for a high-end unit, this one is the right choice. Lew's BB1 Pro Speed Spool is a masterpiece in its own world. This particular model comes made of special type aluminum and it is extra-tough. Some, advanced features like the audible tone and external lube port are obvious. Like the first model here, it comes with 27 settings and 6 pin system. However, here we can see a quick release feature as well. Let’s add the 10 bearing system and the braid-ready features as well. We were pleased on the tests with the model in question and we must add that it is one of the best-selling models at the moment. Keep that in mind, because it can help you make a right choice. Drag power is the pure essence of all fishing reels. Here we can see that the value is 14 pounds, which makes it one of the best reels in the class. At the same time, this means that the reel will be suitable for professionals and for fishermen who are looking for a high-end fishing reel. It may look small and fragile, but it is actually a strong and powerful model. Regardless of the fact what you want from a fishing reel, this model will meet your expectations. It is available in multi-stop, zero-reverse and anti-reverse options. Keep in mind that they are based on the same principle and they offer the same advantages, but they are not the same models. The main difference is in the way how they operate. We tested multi-stop version and we are satisfied with the overall results. Are Lew's reels any good? Of course, they are and the Pro G Speed Spool Reel we have here is the obvious example. The model we had an opportunity to test is made of aluminum and carbon. This makes it strong and lightweight at the same time. It is capable of meeting the highest expectations and to put a smile on your face every single time you use it. As a value for money is decent and we will recommend it to those who prefer quality over price. Inside you can see 11 bearing system and the 6 pin, 27 setting feature. The frame of the reel is made of a single piece aluminum. It is done so the reel maintains the lightness, but at the same time it is extremely strong. This frame still supports a reel with 14 pounds of drag power, so it is a nice addition. Don’t forget that this material looks great and you can feel the quality every single time you touch it. As we have mentioned, Lew’s reels are comfortable to use. This one moved the limit pass the other models simply due to the fact it is extremely comfortable to use. You will notice the difference the first time you use it and you will be more than just satisfied. The bottom line is that the comfort allows you to fish for a longer period of time. 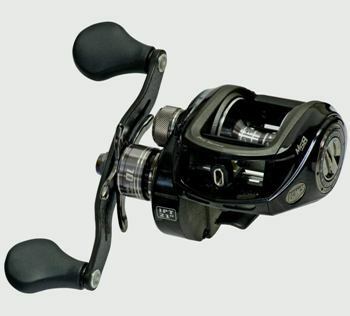 In addition, the bearing system, paired with internal components makes this reel extremely smooth when used. If or better said when you are looking for the best fishing reel you will want to know something about the main factors of features to look for. In this section, we will reveal them and we will help you understand why a particular reel is the best for you. Lews reels come in all profile types. However, low profile is their primary choice. These reels are the best for beginners and for the users who need small and compact reels. They are also the most comfortable to use and they come with a decent line capacity. Yes, Lews reels come in round profile as well. This profile is slightly rare and it is designed for offering the top level of grip, when a fisherman uses live bait or he is focused on the bigger catch. This is the second most important factor to consider and the one that can make a huge difference. It is defined as the length of the line stored on the reel. You can see values such as 100, 400, 7000 and etc. Keep in mind that these are not the accurate lengths of the line! For example, the 400 refers to 190 yards length. 7000 has more than 250 yards of line. For some fishermen, more is merrier, but remember that this also increases the weight and makes a reel more complicated to use. Obviously, maintenance is more demanding as well. How many times will the spool rotate by a single handle rotation? This is the gear ratio. You can see that most Lews models are fast and they have a gear ratio of 8.1:1. It means that the spool will rotate 8.1 times with each handle rotation. We must point out that Lews makes different reels of different gear ratios. As such, 5.9:1 are slow reels. Medium ones have the rating between 6.0:1 and 7.2:1, while fast ones have 7.3:1 and higher. You were able to see that most models we have tested have 8.1:1 gear rating. As such, they are fast reels. If you are a professional fisherman, you will know that the drag does a lot of different things for you. But if you are a beginner, you will know just one. Drag prevents the line breaking. It is common to see a small wheel or a button on a reel which will allow for you to adjust it. This adjustment will be transferred to the discs inside a reel. When they are under a lot of pressure and stress, they will heat up which will cause the line to break. Increasing the distance between the discs will prevent the line from breaking. You want this option on your new reel and you will have to take it into consideration. Most of you will forget about the feature we have here. As a matter of fact, it is commonly overlooked when a person purchases a reel. We want to tell you that this is a mistake. Braking is an essential system and there are so many different types out there. The type is defined as the method it uses to stop the line movement. A good thing is the fact all of them work perfectly and they are going to last. A material which was used in the reel manufacturing process will have a huge role as well. Here we can see two main types. The first type of fishing reels come made of aluminum. Others are made of magnesium. Those which are made of aluminum are slightly stronger. Those that are made of magnesium are extremely lightweight, yet they are still capable of withstanding heavy-duty applications. This is a small system inside a reel which refers to the bearings that allow for the rotation of the entire system. More bearings you have, longer the reel will last. Furthermore, it will be smoother when used and it will provide an excellent comfort. Lews reels come with 10 and 11 bearing system. We prefer 11 bearing version simply due to the fact they last longer. And yes, Lews baitcaster reviews of the owners suggest that they are professionals in this field. A handle is the main element of the reel just because you will use it all the time. They can be made of carbon fiber, which is an excellent and very strong alternative. Some models have it made of aluminum, which is a decent alternative as well. Others may include plastics which should be avoided and it isn’t seen on Lews reels! The end of a handle is layered with a specific material in order to provide an excellent grip. However, which materials should be used? Cork is still used but it isn’t the most popular option. EVA foam is on the other side of the story. It is the most common of them all. Rubber ends are common but usually reserved for more affordable reels. Performance grips are the best option. They are reserved for best reels and they are made of a combination between EVA foam and cork. It is common for a fisherman to look at the design and color of the reel. In reality, some fishermen will get a new reel just because of it like the design and color choice. Although this factor cannot be generalized, we believe that black ones are the best. 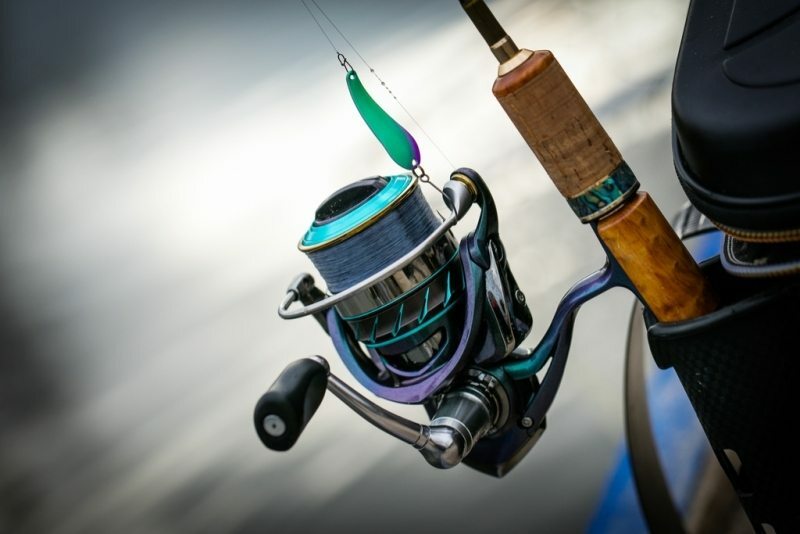 You will want to match the reel with your rod and to get the perfect combination. The first model on our list here is the one we liked the most. 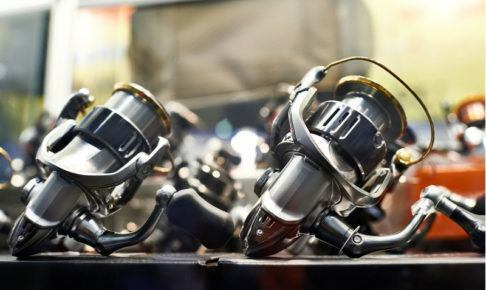 Here you were able to read the Lews reels reviews of the most popular models. For us, the absolute winner is the Lew's Pro Magnesium LFS Speed Spool TLM1H Reel. It has it all and it is also the best-looking of them all. It is based on the latest technology and it comes with a great value/price combination. For some of you, this may be the second choice, but in general, you are going to be 100% satisfied. Just in case, we mentioned other two products, which are excellent reels and that also comes with a high owner satisfaction.